FraudLabs Pro extension allowing you to automatically change the Magento order status based on the FraudLabs Pro status. The extension supports the configuration of 2 returned status, namely the REVIEW and REJECT. For example, you can change the order to cancelled if the order was rejected by FraudLabs Pro. This feature is useful in helping you to filter out those orders that are clearly fraud. However, this solution works only if you have the fraud validation rules properly configured at the merchant area. 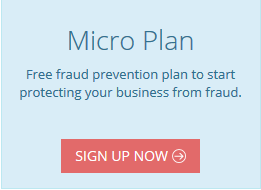 Note: FraudLabs Pro will automatically configured 5 validation rules for you upon signing up for a new plan. These are the basic validation rules that could help you to identify a fraud order. Depending on your business needs, you can edit the validation rules any time at your convenient on the merchant area. On the left panel, select the FraudLabs Pro settings. On the settings page, select the order status for Review and Reject status. If you do not want to automatically change the order status upon receiving Review or Reject status, just select the — Please Select — option. The above option will only affect the order status during the customer checkout. It will not affect the order status when you click on the Reject button on the order details page. What is Risk Assessment on Magento?